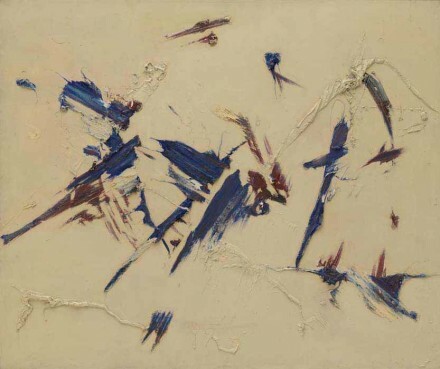 This summer, the Solomon R. Guggenheim Museum celebrates a groundbreaking period in its history with “Art of Another Kind,” an installation featuring works collected primarily from 1949-1960. This era began with Solomon R. Guggenheim’s passing. The movement caught fire under new director James Johnson Sweeney’s affinity for the explorative and abstract work of artists he referred to as “tastebreakers,” and ended soon after the museum’s 1959 relocation to Frank Lloyd Wright‘s iconic white structure docked in the Upper East Side. 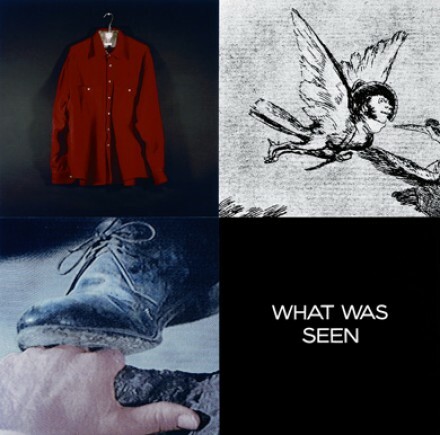 Currently on view at Los Angeles County Museum of Art is “Pure Beauty,” a retrospective of work by John Baldessari. 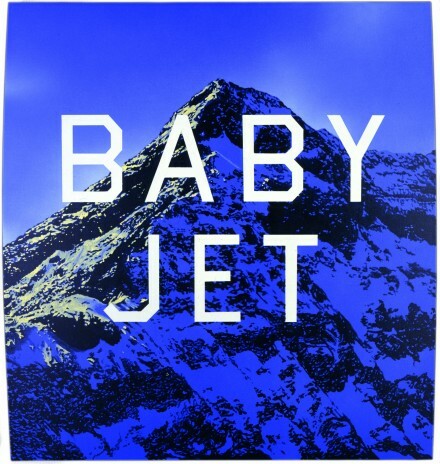 The exhibition features one hundred and fifty objects produced by one of the most influential living American artists, representing over five decades of his storied career. The show is curated by LACMA’s Leslie Jones, with Jessica Morgan, curator of Contemporary Art at the Tate Modern. 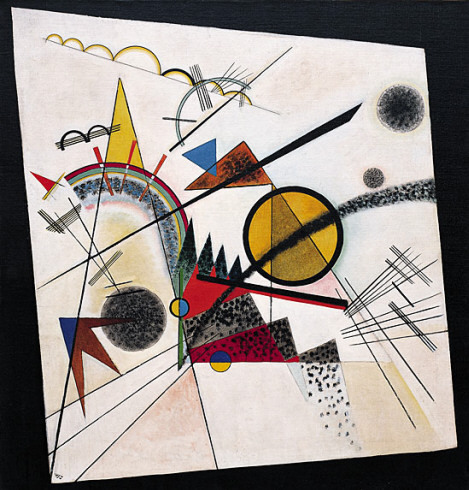 ‘The Geometry of Kandinsky and Malevich” is currently on view at the Guggenheim Museum, New York. 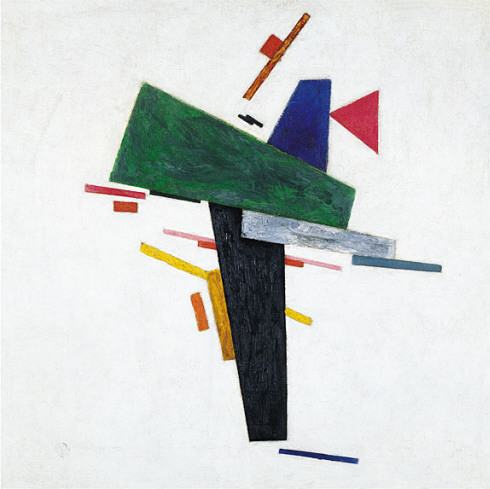 The show, which includes only seven paintings, features the works of Russian artists Kazimir Malevich (1879-1935) and Vasily Kandinsky (1866-1944). 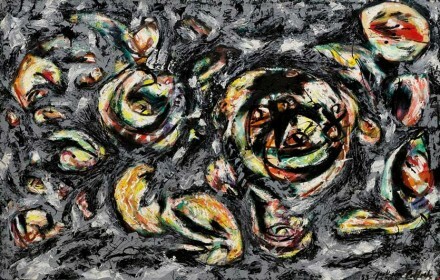 The small scale of the exhibition permits an intensely focused look at two of the pioneers of abstract art. Although all the work is presented in one room, the representative paintings of each artist are hung in distinctly separate areas. This spatial orientation refers to the fact that, although Kandinsky and Malevich were contemporaries, and explored similar formal concepts, they did so independently of one another. 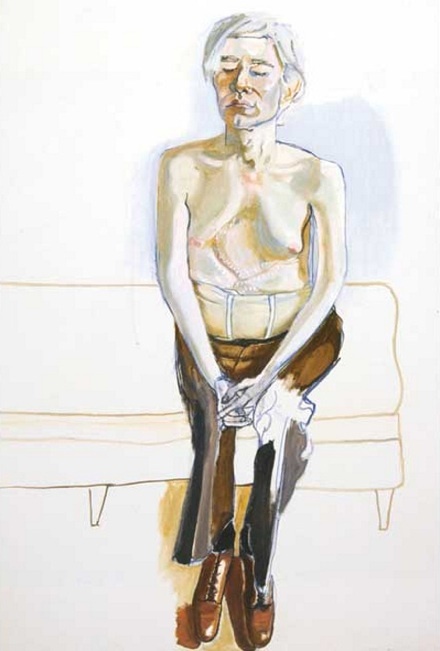 Alice Neel, Andy Warhol, 1970. Image via Whitechapel Gallery. Currently on view at Whitechapel Gallery is “Painted Truths,” the first major European exhibition of work by American artist Alice Neel (1900-1984). Featuring more than sixty paintings produced over the course of her artistic career, the show focuses upon the psychologically insightful and expressive portraits for which she is best known. Also included are a number of Neel’s cityscapes, in which the anonymity and exteriority of New York City are shown alongside the artist’s intimate depictions of its inhabitants. 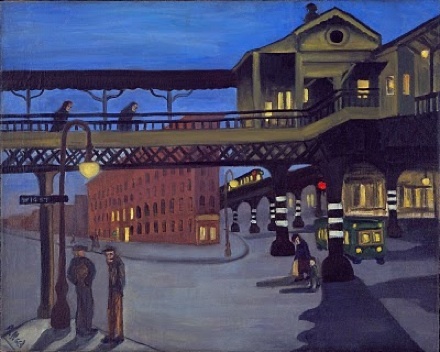 Alice Neel, Ninth Avenue El, 1935. Image credited as above. 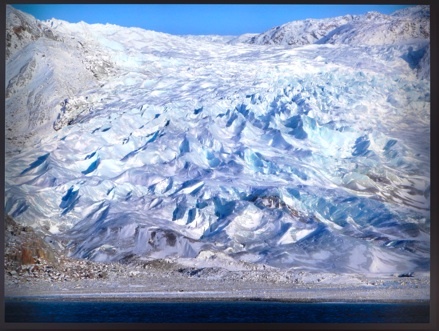 Sophie Calle, Photograph from the “North Pole” series, courtesy of Arndt. Currently on view at Arndt in Berlin is a solo exhibition by Sophie Calle entitled “North Pole,” in which the artist combines objects created in a variety of media to illustrate a narrative of personal significance. Born in France in 1953, Calle is known for her work as a writer, photographer, and conceptual artist. In “North Pole,” she examines the perception and creation of human identity through an abstracted portrait of the life of her mother. 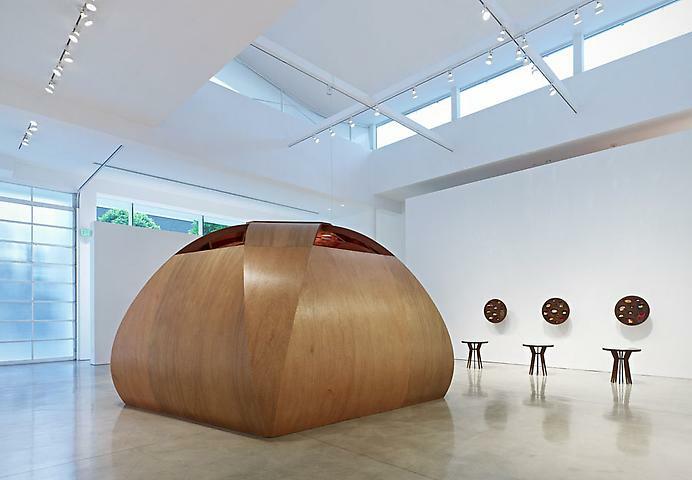 “Bulgogi,” a solo exhibition featuring artist Jorge Pardo, is currently on view at Gagosian Gallery, Beverly Hills. The show’s title is derived from the name of a traditional Korean dish which translates as “fire meat.” Given the strong Korean presence in Los Angeles, Pardo uses this title as a metaphor for the cultural assimilation of Korean immigrants in this Californian city. 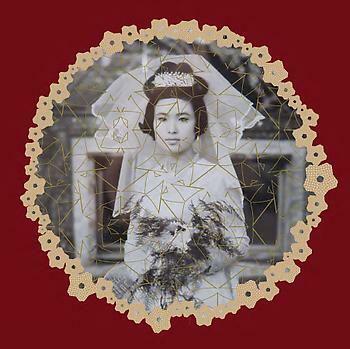 The exhibition includes a variety of mixed media pieces, and features a range of objects including furniture, jewelry, and scrapbook images transformed into wallpaper.